“It was a tough conversation for all of us,” Daryl Talbot concedes. For 8 seasons Dr. Chris Brown has fronted TEN’s Bondi Vet, a series that has gone on to be sold into multiple territories, including screening on CBS as Dr. Chris Pet Vet. But as WTFN CEO Daryl Talbot explains, the in-demand star could no longer juggle three shows for TEN. “He does travel for The Living Room and I’m A Celebrity but the truth is there was for a while a constant tension between getting days for The Living Room, Bondi Vet…and he was working a lot of days with very little break. He’s putting in a super-human effort to do both shows. “He loves being a vet, and as I understand it, he still has a role in the Bondi clinic, but it’s when he’s available. But WTFN is has turned a negative into a positive with its online call for the next veterinarian star, asking Australians to nominate Brown’s successor. The response has been an overwhelming 400 candidates, who have been whittled down to 50 for a public vote. “We’ve had thousands of people nominate their vet. There are some 800,000 views of the videos so far. There’s a guy who sang about his vet… dancing vet, sailing vet, every manner you can imagine,” he continues. Talbot is keeping his options open as to whether the next vet will have to relocate to fulfill the title. 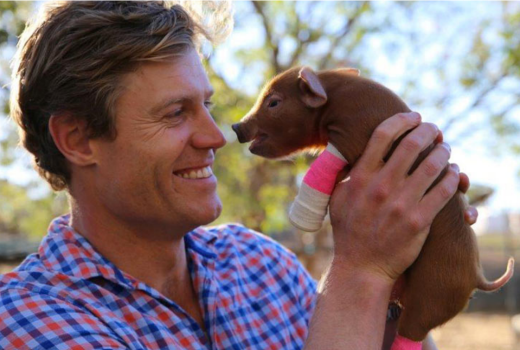 “We think Bondi Vet is more about the spirit rather than the location of the programme. Whether it’s someone who relocates or works out of Bondi…. for a period of time, potentially that is how it will work,” he explains. “But we’re not going to lock ourselves into the format, or to be blunt even the title. It will be driven by the talent. “What the show looks like and what it’s called will be flexible. Along with long running Bondi Vet and The Living Room, WTFN has recently launched two new titles, Operation Thailand on Nine and Ask the Doctor (pictured below) on ABC. The Melbourne-based production company has specialised in Documentary, Factual and Branded content. 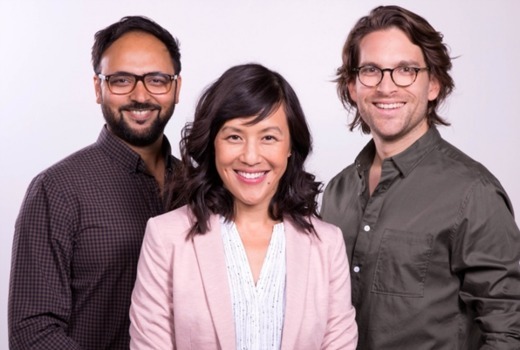 Ask the Doctor, featuring Dr. Shalin Naik, Dr. Sandro Demaio and Dr. Renee Lim, is their first production for ABC’s primary channel (Tattoo Tales aired on ABC2). “Part of the process was to ask the public what they wanted to know and include the questions they had, rather than just telling them,” he says. Operation Thailand has partnered with Queensland-based CosMediTour as cameras follow Australian having luxury medical surgery in Thailand. “There are a lot of programs like Botched that look at things going wrong. But from Australia’s perspective it looks at a growing phenomenon. There’s about $300M spent on Medical Tourism to Thailand and the numbers are growing. 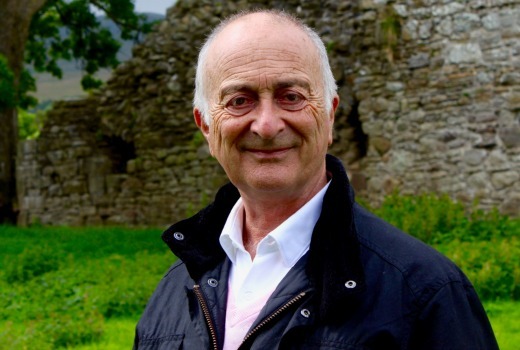 WTFN has also produced 5 Tony Robinson (pictured above) titles for Foxtel, replayed on ABC, docos on twins Trishna & Krishna, plus On Thin Ice: Jade’s Polar, Long Lost Family and family feature film Oddball. Next is a co-production with Chocolate Liberation Front on kid’s series Larry the Wonderpug for Seven, discussions on a third season of Vet on the Hill and 10 part series of Sydney Harbour Patrol for Discovery, plus more for teen adventurer Jade Hameister. While WTFN has titles with other broadcasters, its longevity with TEN is undeniable. Talbot is hopeful the network can emerge from its current financial stress. “Clearly TEN faces a lot of challenges and that must be incredibly frustrating and disappointing for the TEN management team. If you saw the effort that went into improving TEN last year, for example, across the board, across their schedule….” he suggests. “I really feel for TEN management in particular. I know Biggest Loser caused them a lot of stress this year, but there was a massive effort in the 18-24 months leading up to and including last year. I thought they did a really great job, but it just hasn’t converted into cash. But Talbot is confident WTFN is well-positioned to weather industry change. Its distribution arm, known simple as Fred, sells to over 170 territories. “Our focus at WTFN has really been about looking outward, through our distribution business in particular. We recognised, probably 5 years ago that there was change coming through the industry,” he explains. “The smart, strategic thing we did was create our distribution business and that’s been very good for us in terms of generating revenue, opportunities, meetings. It gives us flexibility in business that if you were only a production company you probably wouldn’t have. Everyone is trying to own and control content these days and by having our distribution business it gives us a stronger hand in those conversations when we’re doing deals. NSW: Michael Demertze, James Crowley, Rich Seymour, Dr Belinda Parsons, Simone Maher, Andy Pieris, Hannah Plummer, Audrey and Alison Shen, Lewis Hunt, Tom Bayes, Kate Petrie, John Thirlwell, Laura Brown, Andrew Ottley, Michael Yazbeck, James Grimson. WA: Rebekah Outred, Milad Keihanirad, Garnett Hall and Max Hall, Edward Kiddel, Marty Wray, Michael Harwood, Peter Ricci, Sally Yamamoto-Smith. VIC: Eben Martin, Danni Dusek, Claire Lowy, John Russell, Lisa McConnell, Amanda Sujevic, Fiona Hendrie. Guess that means Celeb is returning for another season. Perhaps they should make the auditions a new reality show: The Veternarian. Prospective vets go through different activities with different animals, from doggos and kittehs to moocows and gee-gees, through to roos and emus. Maybe spreading himself a little too thinly over too many projects. Love Chris in Bondi Vet and Celeb. Such a warm and likeable person – surprisingly funny as well. A real shame to see him leave Bondi Vet behind. I really like Chris Brown, he’s a very engaging personality, but he’s in danger of becoming another Eddie Everywhere, popping up wherever there’s a space. Frankly, I’d far rather see him as a vet than just another personality travelling the globe for a TV program, pleasant as that must be for him, but almost a dime a dozen these days.